Product prices and availability are accurate as of 2019-04-14 14:21:42 UTC and are subject to change. Any price and availability information displayed on http://www.amazon.com/ at the time of purchase will apply to the purchase of this product. 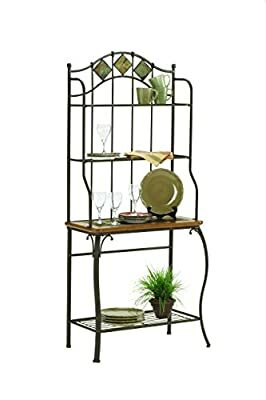 With quality materials, an elegant design, and oodles of storage space, the Lakeview Slate Bakers Rack will make a lovely addition to your home. 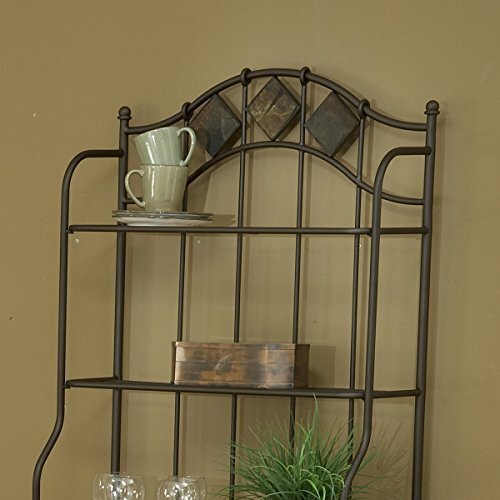 Boasting a striking blend of medium oak wood, copper brown metal, and gorgeous slate accents, this contemporary bakers rack is both attractive and functional. It's constructed with heavy gauge tubular steel, slate accents, solid wood edges, and climate controlled wood composites and veneers. Ample storage space is provided by four shelves - perfect for storing dishes, small appliances, pots, pans, and other kitchen items. The main shelf has wood edges and slate inlays that correspond with three diamond-shaped slate accents at the top of this bakers rack. About Hillsdale Furniture Located in Louisville, Ky., Hillsdale Furniture is a leader in top-quality, affordable bedroom furniture. Since 1994, Hillsdale has combined the talents of nationally recognized designers and globally accredited factories to bring you furniture styling and design from around the globe. 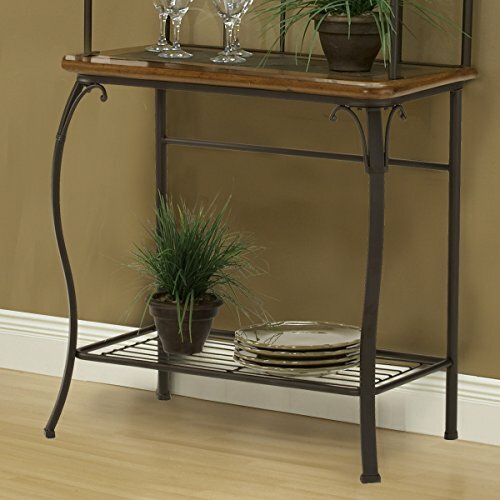 Hillsdale combines the best in finishes, materials, and designs to bring both beauty and value with every piece. The combination of top-quality metal, wood, stone, and leather has given Hillsdale the reputation for leading-edge styling and concepts. Durable metal bakers rack with slate accents. Medium oak wood and copper brown metal. Sleek lines and elegant curves for contemporary style. 4 shelves provide ample storage and display space. Dimensions: 30W x 17D x 70H inches.